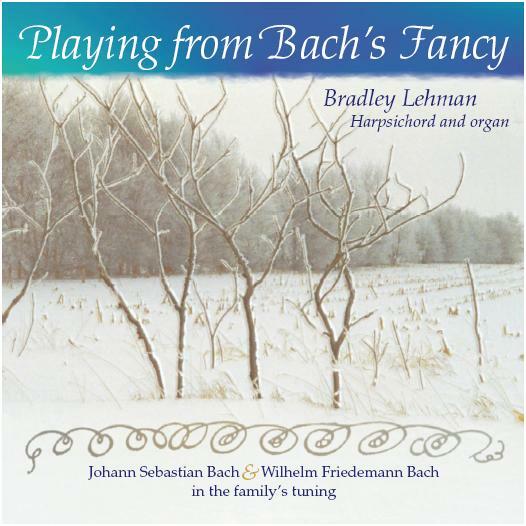 Bradley Lehman's harpsichord and organ repertoire spans most of the solo keyboard literature from 1500 to 1775, plus Renaissance and Baroque ensemble music and some modern works. His interests include historical styles, unequal temperaments, a "gestural" manner of performance, composition, transcriptions, and thoroughbass improvisation. Six of his hymns are published in Hymnal: A Worship Book. In addition to his concert performances in North America, Germany, and Costa Rica, he has served several congregations as organist and music leader. Lehman is a graduate of Goshen College and the University of Michigan, with degrees in harpsichord performance, the other early keyboards, historical musicology, church music, and mathematics. His keyboard teachers have included Leonard Kilmer, James Goldsworthy, Marvin Blickenstaff, Kathryn Sherer, Philip Clemens, Edward Parmentier, James Kibbie, and Penelope Crawford. His doctorate is in harpsichord, 1994. In 2004 he discovered what he believes to be J. S. Bach's own temperament for harpsichords and organs, encoded graphically on the title page of the Well-Tempered Clavier. Lehman's article about this finding is published in the February and May 2005 issues of Early Music (Oxford University Press), with further clarifications and elaborations at the web site <www.larips.com>. 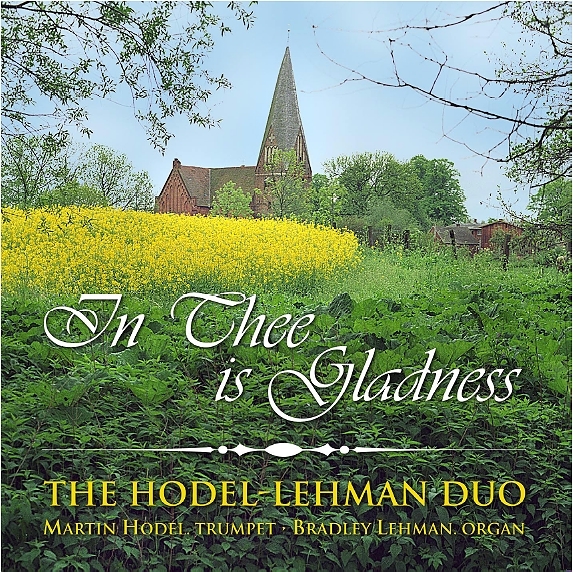 His CD "In Thee is Gladness," of trumpet and organ music played with Martin Hodel, was released in January 2005. His harpsichord and organ recordings, both featuring Goshen College's instruments, are released in November 2005. 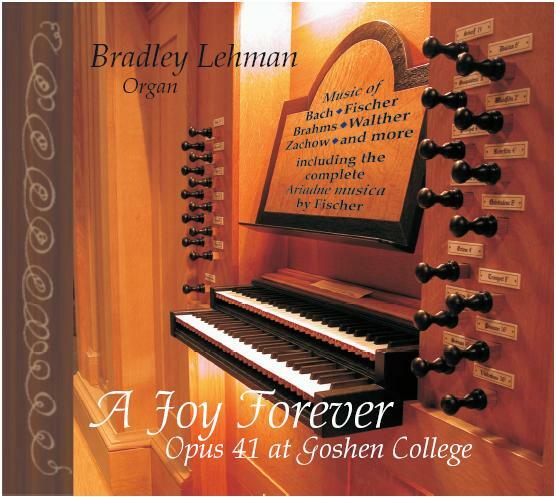 "A Joy Forever" is a 3-CD set demonstrating the expressive tonal palette and the tuning of Goshen's organ, the Taylor & Boody Opus 41. "Playing From Bach's Fancy" presents harpsichord solo music by J. S. Bach and his oldest son, Wilhelm Friedemann Bach, plus 20 minutes of bonus material played on this organ. The music of Frescobaldi and his student Froberger is the epitome of improvisatory 17th century style, and the toccata genre for keyboard: through wild ornamentation, fleeting sections of imitation, and harmonic explorations. Frescobaldi's preface to this music instructs the player to make it intensely expressive and rhythmically free, "as is done in modern madrigals"-i.e the beginning of the seconda prattica at the beginning of the century, with characteristic baroque extravagance. The player is even allowed to omit part of the piece, if so desired. We will hear the whole piece, but with some decisions of detail and timing not finalized until those notes are actually played; every occasion is different. Attaingnant's keyboard dances (some of them also available in ensemble versions) reflect the recent importing of Italian styles and forms into France, at the beginning of the 16th century. Square metric patterns and regular phrasings, never very far from improvisation for dance accompaniment, are livened up by the often-lavish ornamentation. The hexachord fantasy by John Bull is an extraordinary piece based on the simplest of themes: six notes going up and back down. Ut (do), re, mi, fa, sol, la; la, sol, fa, mi, re, ut. This theme is presented in all twelve keys, before it settles back to G for the final several repetitions. G, A, B, Db, Eb, F, Ab, Bb, C, D, E, F#, G, G, G, G, G! Fischer's book Ariadne musica (1702/15) is notorious within music history as an influence on young J. S. Bach, encouraging him to write his own sets of preludes and fugues in all the keys. Bach even borrowed one of the fugue themes for a fugue of his own: I will play Bach's next to Fischer's. But, Fischer's book itself is rarely played and heard, and does not deserve its relative neglect! In a carefully balanced unequal tuning, as we have here, these preludes and fugues are revealed to be tiny gems: sparkling, witty, and exploring a range of mood and character. Our recording of Ariadne musica on the Goshen College organ is to be released in November. To my knowledge, this is the world premiere recording of this important book, complete with its five ricercars on chorale melodies. Charles Burkhart is a retired musicologist, theorist, pianist, and composer. His 1952 thesis was on the Music of Old Order Amish and Old Colony Mennonites. He is probably best known for his Anthology for Musical Analysis (six editions from 1964 to 2003) used in countless university courses of music theory and history, including some here at Goshen College. I have selected three hymn preludes from his eleven in a Goshen College publication, 1970: Hymn preludes for organ (or, occasionally, piano) based on music from The Mennonite Hymnal, 1969. The suggestion to include "Bonar I" after "Bonar III" is Burkhart's own: from my conversation with him a few weeks ago about this new organ and this concert. Most of "Bonar III" is in two keys at once and goes to exotic harmonic areas...while "Bonar I" is entirely in C major, without a single accidental. "Nettleton" has some marvelous contrasts of dynamics, scales, and tone colors. The Brahms setting of "Es ist ein' Ros' entsprungen" is from the set of eleven chorale preludes from his last year, and published as his posthumous Opus 122. The melody is chromatically decorated, and it also migrates from soprano to tenor to alto, becoming difficult to pick out. This is included with five of the other Brahms chorales in the CD set "A Joy Forever." J S Bach's chorale arrangement "Es ist genug" is the same one that Alban Berg borrowed for a climactic point in his 1935 violin concerto. From earlier in Bach's career, the Pièce d'Orgue BWV 572 is a dramatic showpiece with some of Bach's most original gestures. It has a big middle section in five-part contrapuntal harmony (stylistically French), flanked by two shorter sections of fast noodling through chord progressions, all intensified with non-harmonic notes. The Aria from the Pastorella BWV 590 is the third of four movements, and has a freely-flowing melody on one manual against a repeated-chord accompaniment on the other. I have chosen to end this recital with one of my favorite Bach pieces: the intense F minor fugal setting of "Jesus Christus, unser Heiland" from book 3 of Clavierübung, 1739. When its theme goes triumphantly at half speed, we are near the end! I believe that Bach's elegant diagram at the top of his Well-Tempered Clavier title page defines a specific set of sounds for every musical scale and for all harmonies. Every major scale and minor scale sounds different from every other. This allows music to project a subtly different mood or character in each melodic and harmonic context, with a pleasing range of expression as it goes along. It builds drama into the music. The resulting tuning sounds almost like the equal temperament we have been accustomed to, but it has much more personality and color, a "three-dimensionality" to the sound. A harpsichord and organ tuner who follows Bach's recipe exactly, making the intervals very slightly compromised on purpose (as his drawing indicates), ends up with a keyboard tuned beautifully for music in all keys. This carefully balanced result was apparently Bach's preferred system, and it solves all the practical problems in his music and the music of his sons. Indeed, it turns out to be an excellent tuning solution to play all music, both before and after Bach's. 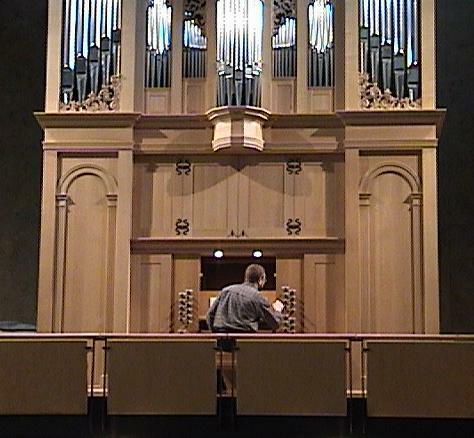 Goshen College's organ, the Taylor & Boody Opus 41 dedicated in May 2005, is the first organ in the world (since the 18th century) to be built with this system. This has been followed closely by a new organ in Helsinki, Finland, by the Austrian organ-builder Kögler, dedicated in September. Meanwhile, several existing smaller organs have also been converted to use this. My article presenting this method is published in the February and May 2005 issues of Early Music (Oxford University Press), with follow-up articles in The Diapason (May 2005) and Clavichord International (November 2005). Further details are also in the booklet essays for our two forthcoming CD releases, in November. Apparently this research has sparked the creative imagination as well: a short piece of fiction by Jeffrey Eugenides is in the October 10th 2005 issue of The New Yorker magazine, citing this discovery and reproducing the recipe.